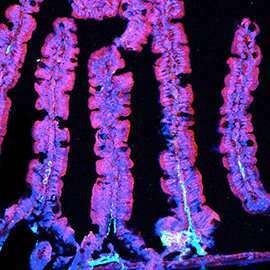 Bacteria found in the small intestines of mice and humans can travel to other organs and trigger an autoimmune response, according to a new Yale study. The researchers also found that the autoimmune reaction can be suppressed with an antibiotic or vaccine designed to target the bacteria, they said. The findings, published in Science, suggest promising new approaches for treating chronic autoimmune conditions, including systemic lupus and autoimmune liver disease, the researchers said. Gut bacteria have been linked to a range of diseases, including autoimmune conditions characterized by immune system attack of healthy tissue. To shed light on this link, a Yale research team focused on Enterococcus gallinarum, a bacterium they discovered is able to spontaneously "translocate" outside of the gut to lymph nodes, the liver, and spleen. 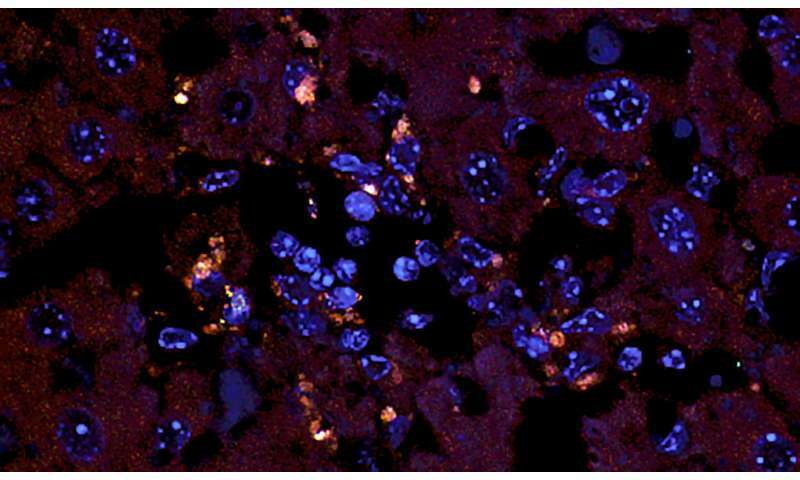 In models of genetically susceptible mice, the researchers observed that in tissues outside the gut, E. gallinarum initiated the production of auto-antibodies and inflammation—hallmarks of the autoimmune response. 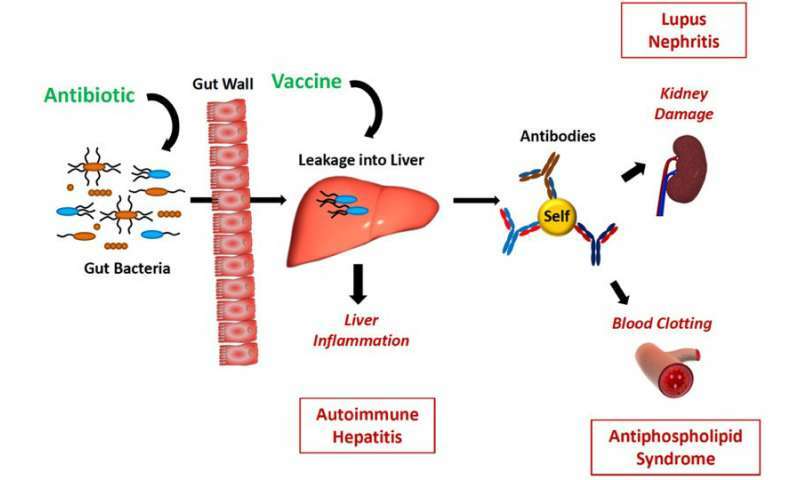 They confirmed the same mechanism of inflammation in cultured liver cells of healthy people, and the presence of this bacterium in livers of patients with autoimmune disease. "When we blocked the pathway leading to inflammation, we could reverse the effect of this bug on autoimmunity," said senior author Martin Kriegel, M.D. "The vaccine against E. gallinarum was a specific approach, as vaccinations against other bacteria we investigated did not prevent mortality and autoimmunity," he noted. The vaccine was delivered through injection in muscle to avoid targeting other bacteria that reside in the gut. "Treatment with an antibiotic and other approaches such as vaccination are promising ways to improve the lives of patients with autoimmune disease," he said.